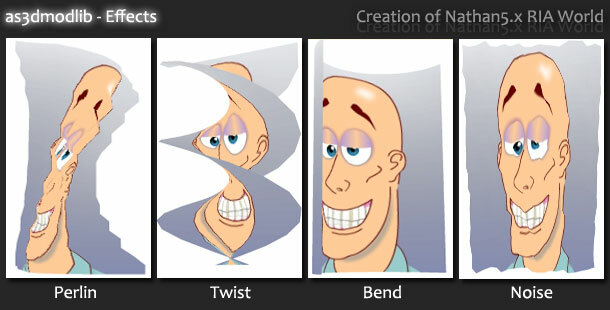 We have an interesting 3D effects library for playing 3D animations in Flash and Flex. This library has four interesting effects namely Perlin, Bend, Twist and Noise. 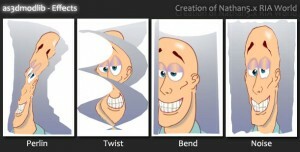 Here is the snapshot of different effects.